Dr. Thomas Sterling holds the position of Professor of Intelligent Systems Engineering at the Indiana University (IU) School of Informatics, Computing, and Engineering as well as the Chief Scientist and Associate Director of the Center for Research in Extreme Scale Technologies (CREST). Since receiving his Ph.D from MIT in 1984 as a Hertz Fellow Dr. Sterling has engaged in applied research in fields associated with parallel computing system structures, semantics, and operation in industry, government labs, and academia. Dr. Sterling is best known as the "father of Beowulf" for his pioneering research in commodity/Linux cluster computing. He was awarded the Gordon Bell Prize in 1997 with his collaborators for this work. He was the PI of the HTMT Project sponsored by NSF, DARPA, NSA, and NASA to explore advanced technologies and their implication for high-end system architectures. Other research projects included the DARPA DIVA PIM architecture project with USC-ISI, the Cray Cascade Petaflops architecture project sponsored by the DARPA HPCS Program, and the Gilgamesh high-density computing project at NASA JPL. 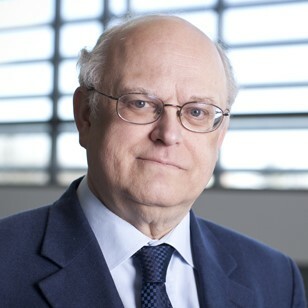 Thomas Sterling is currently engaged in research associated with the innovative ParalleX execution model for extreme scale computing to establish the foundation principles to guide the co-design for the development of future generation Exascale computing systems by the end of this decade. ParalleX is currently the conceptual centerpiece of the XPRESS project as part of the DOE X-stack program and has been demonstrated in proof-of-concept in the HPX runtime system software. Dr. Sterling is the co-author of six books and holds six patents. He was the recipient of the 2013 Vanguard Award. In 2014, he was named a fellow of the American Association for the Advancement of Science. Find out more about Thomas Sterling’s recent research.